A self‐guided food tour by bitemojo is similar to a "traditional" food tour, on which a guide takes you to sample local food and gives you some background information about the sights you pass by on the tour. The difference with the bitemojo app is that you are doing the food tour alone. This gives you much more flexibility to choose when you want to start and end your tour, how long you spend at each stop, and what you want to see on your way. Currently, you can take bitemojo food tours in the following cities: Jerusalem, Tel‐Aviv, Berlin, Barcelona, Budapest, Rome, Ljubljana, Singapore, Bangkok, Madrid and Lisbon. As of 2018, you can choose between three tours in Berlin: "New in Berlin" (22 € per person), "Upscale Berlin" (25 €) and "Berlin for lovers" (25 €). I opted for the "New in Berlin" Tour, which took me through the central district of "Mitte" (meaning "middle" in German). Located in former East Germany, the district has seen a lot of transformation and regeneration since the fall of the Berlin Wall in 1989. As such, it is certainly an exciting area to discover. You can also find several film locations in this area, for example those that appear in the recent German heist thriller Victoria (2015). Read more in my blog post for my self‐guided Victoria Film Locations Walk in Berlin. Booking a self‐guided food tour with bitemojo is very easy. Just download the app on your smartphone and register an account with your email address. You can then purchase a tour, which is valid for six months. Once you've started your tour, you will be led to each stop with a map on your phone (similar to Google Maps), so you can be sure to never lose your way. At the food stops, you just show the app on your phone to the vendor and they will hand out your food sample (called "bite") to you. A great thing about the self‐guided food tours by bitemojo is that you can do them at your own pace. The "New in Berlin" Tour, for example, can be done Monday to Sunday anytime between 12 and 6 pm. You can even do a few stops on one day and then continue the tour on a different day. Quite fittingly for Germany, the tour started with a beer! Along with 0,1 litre of craft beer and a glass of salty peanuts, I received some information about the history of beer on my app. The location was a cosy pub, which at that time (around 1 pm on a weekday) provided plenty of seating opportunities. By the way: If you don't drink beer, you can swap your bite to receive a soft drink or an artisan coffee instead. After several interesting sightseeing spots along the way (see the next section "What's there to see besides food? "), I arrived at a "Polish street food place". Here, I tasted two traditional Polish dumplings called "Pierogi". There were about six different choices for Pierogi with either meat, vegetarian or vegan fillings. I had two very delicious vegetarian options with beetroot, potato and cheese. There are only a few tables inside and outside of the restaurant. If it's not too busy though, you should be alright to find a place to sit down here. In Berlin, the Vietnamese make up the largest group of immigrants from South East Asia. Thus, you will find plenty of Vietnamese restaurants and delis all across the German capital. 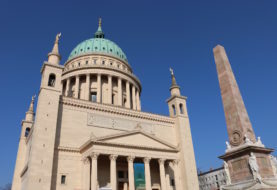 The one that I visited on my self‐guided food tour was just off Rosenthaler Platz. Although I had been to this square multiple times before, I had not yet discovered this particular Vietnamese place yet. I enjoyed a traditional, vegetarian filled summer roll with some peanut sauce at the side. As a nice surprise, I also received a drink here (ginger‐infused hot water). It is a small place, though not busy at the time I visited, so I easily found a table to sit down and eat. Stop 4: A Quiche and a "Cold Dog"
Next up was a cute little French‐inspired bistro, where my bite was a piece of vegetarian quiche. According to the website, you get a pralinee for dessert here. But to my surpirse (and delight), the pralinee was swapped for a typical German cake dessert called "Kalter Hund" (literally meaning "Cold Dog" in German), also called "Kalte Schnauze" (literally meaning "Cold Snout" in German) in other parts of Germany. I have no idea why it's called that (well, other than because this cake is not cooked, so literally cold). One thing I do know though is that the "Cold Dog" surely tastes delicious and there was a huge choice here between several variants of the "Cold Dog". In the end, I opted for one with alternating layers of chocolate, fudge, Oreo cookies, and berry fruit flavours. As it was a super hot day, I was so looking forward to the last stop of my tour: The frozen yoghurt place! Here, I enjoyed a simple fat‐free yoghurt with a blueberry topping. What's there to see besides food? The sights I passed by included a former "ghost station" that was served by West Berlin trains, but was located in East Berlin, a graveyard which East German refugees used to dig a tunnel underneath and escape to the West, and the house where Germany's first communist party was founded in 1918. There were also some hidden gems, such as the only unrenovated backyard in the area, which still preserves its alternative vibe and now houses a cool cinema and café. 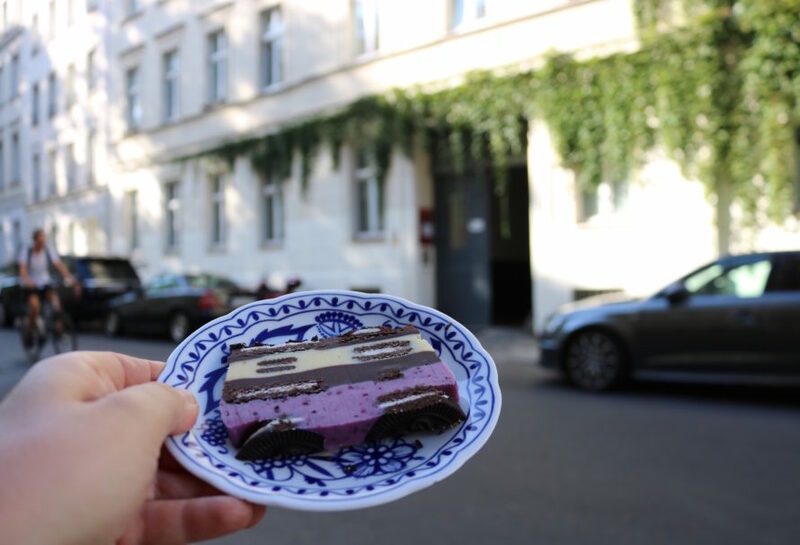 The price: At 22 €, the "New in Berlin" self‐guided food tour costs significantly less than regular food tour. Doing the tour at your own pace: You don't have to wait for anyone and you don't have to rush. Plus, you can even stop and continue the tour on a different day. The extra credits: For every bite that you ate during your tour, you can leave a quick review in the app, which will afterwards be converted into "bite credits". You can also review the tour as a whole and receive credits for that. Plus, you will get credits if a place that would normally be included in your tour is closed on the day you visit. You then get six months to redeem your bite credits. 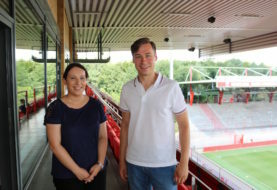 New insights: Even though I have been in the area before, I discovered several "hidden spots", was provided with interesting background information through the app, and got some new ideas for restaurants and eating places to go to whenever I am in Berlin again. The size of the bites: They were just about right, it was not too little and not too much. Since I did this tour on my own, I didn't meet other travellers, which is one of the reasons why I normally love to take regular food tours, or in fact guided walking tours in general. I would have liked if there were even more stops and (historical) background information on sights along the route. There was a lot of information at the beginning of the tour, but then there was not as much as I continued. 1. Make sure to check your own schedule and the schedule of the tour before you book a tour. Most tours are not available on national holidays. I would also recommend not to do the tour on the last day of your trip, so if you don't manage to complete the tour on one day, you still have time to convert your unused bite credits into actual bites. 2. Have your phone is fully charged at the beginning of the tour because by using mobile data, maps and the app it can happen that you will run out of battery quickly. It might be a good idea to take a portable charger with you. You can use Wifi in many locations. However, you want to make sure that you have some mobile data, too as you will need internet access to claim your bites. 3. Except for the Vietnamese stop, there were no drinks included in my tour, so you may want to take a bottle of water with you. You can also buy drinks of course or order free tap water. Make sure you specify that you would like tap water ("Leitungswasser" in German) as the vendors might otherwise hand you a bottle of water, for which they will charge you. Ready to eat and explore? Over to you: What do you think about the new concept of self‐guided food tours? Would you try it yourself? If so, I would love to hear your thoughts in the comment section below! 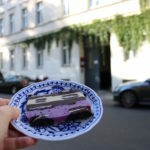 Disclosure: In order to write about the tour, I received a complimentary ticket for the "New in Berlin Food Tour" from bitemojo. As always, the views expressed in this blog post are entirely my own and reflect my honest, personal opinion about my experience. I'll receive a small affiliate fee if you book your tour via my link to GetYourGuide.com.